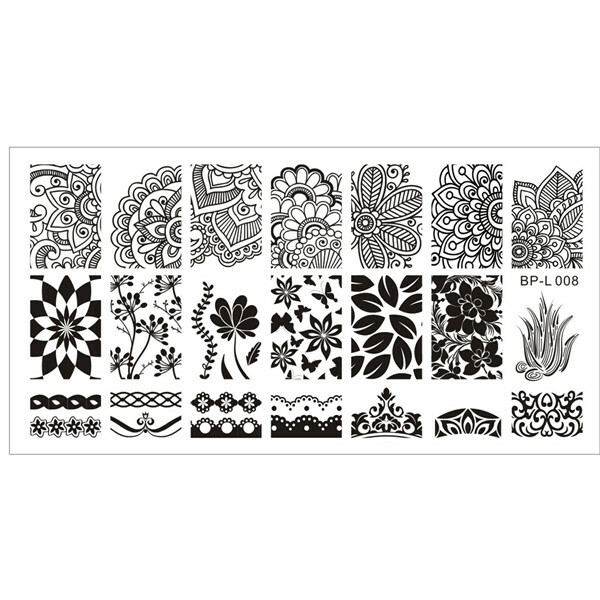 Today I have a review of a stamping plate from Born Pretty Store. This is another plate that I was drawn to because of the images. The plate is L008 and here is the design I created. I started with a base of Marrow. Then I added a different arabesque image to each nail. I love these types of images! As you can see they transferred beautifully. I love when stamping plates do exactly what they are supposed to do! The images were etched perfectly on this plate and I had no trouble with the transfer from plate to nail. Plus the images are so cool! This plate is going to be well used in my collection! Head over to Born Pretty to pick up this plate and don't forget to use my code to save 10%! 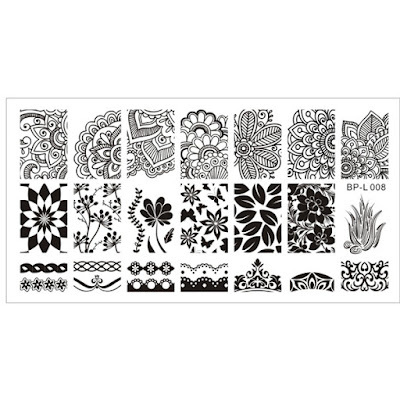 Some wonderful designs in this stamping plate. I have this plate too and I love it!